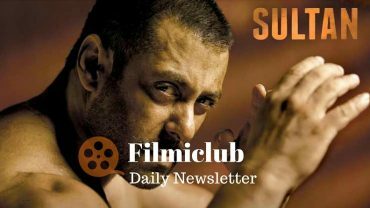 Sultan collects Wed 36.54 cr, Thu 37.32 cr, Fri 31.67 cr, Sat 36.62 cr, Sun 38.21 cr, Mon 15.54 cr. Total: 195.90 cr. India biz. Priyanka Chopra will do an item number in her Marathi production! Ajay Devgn’s Shivaay girl Sayyeshaa Saigal to appear in a TSeries single with Sushant Singh Rajput! An upcoming Lokhandwalabased filmmaker, Kritik Kumar Pandey, has accused Tiger Shroff and his Baaghi director Sabbir Khan, along with several other people, including producer Madhu Montena, of stealing his script for their supposedly upcoming collaboration, Munna and Michael. Hrithik Roshan Signs a 500 Crore Satellite Deal with Star Network for his Next Six Films! KRK: Congress has done best thing to appoint Raj Babbar Sahab to win UP elections. He is one of the most honest n hard working politician today.Raj Babbar is from UP n we all UP ppl love him from bottom of our hearts for his honesty, hard work n achievement n we all will support him. Mohammad Sabir Ansari alias Sabir Baba, a resident of Muzaffarpur has filed a complaint case against Bollywood superstar Salman Khan, actor Anushka Sharma, film director Ali Zafar Abbas and others for Rs 20 crore as royalty for making a film based on his life.